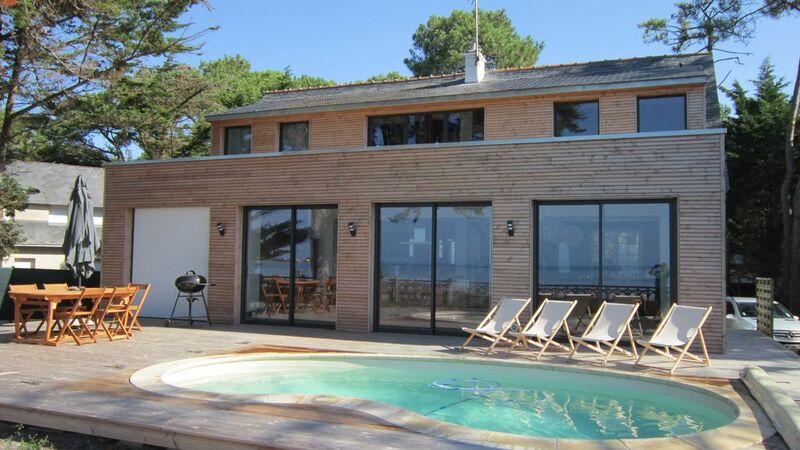 Villa with small pool facing the sea, large wooden terrace, fenced garden and access to the beach. quality and can accommodate 12 people. Storage space, garage in basement. Ideal pour passer un moment agréable entre amis ou en famille.